If you really want to learn about color – you must learn about light! The United Nations has declared 2015 the International Year of Light and Light-based Technologies. I plan on celebrating all year long by learning as much as I can about light and sharing what I learn. In honor of the 100th Anniversary of the publication of Munsell’s Color Atlas (and my 60th time around the sun), I’m taking this year as my personal Year of Color and Light! I won’t be traveling to teach until next fall so that I can stay in Portland and focus on developing a new website for artists, designers and teachers who want to explore 21st Century Color. I think of all of you as my fellow Color Explorers and I invite you to come along as I venture deeper and deeper into the wonderful world of color and light. Video introducing the International Year of Light. Beyond James Turrell: 10 More Great Artists Who Use Light as a Medium. Lyon Festival of Lights – It was on December the eighth 1852 that residents of Lyon first lit candles as a way of thanking the Virgin Mary for ridding the city of plague 200 years earlier. 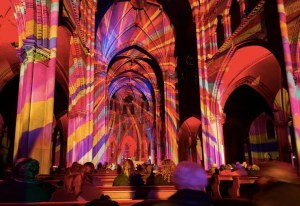 Now the annual festival in early December showcases the art of light at over 70 sites. GLOW – Every year, at the beginning of November, the city of Eindhoven in the Netherlands is lit up by artists who use light to bring the local architecture to life. Aurora Carealis – Happening now in Finland. Color and Light by James Gurney – the best book on color for artists.